2015 Road Trip Photos #48: Noontime in Nashville « Midlife Crisis Crossover! 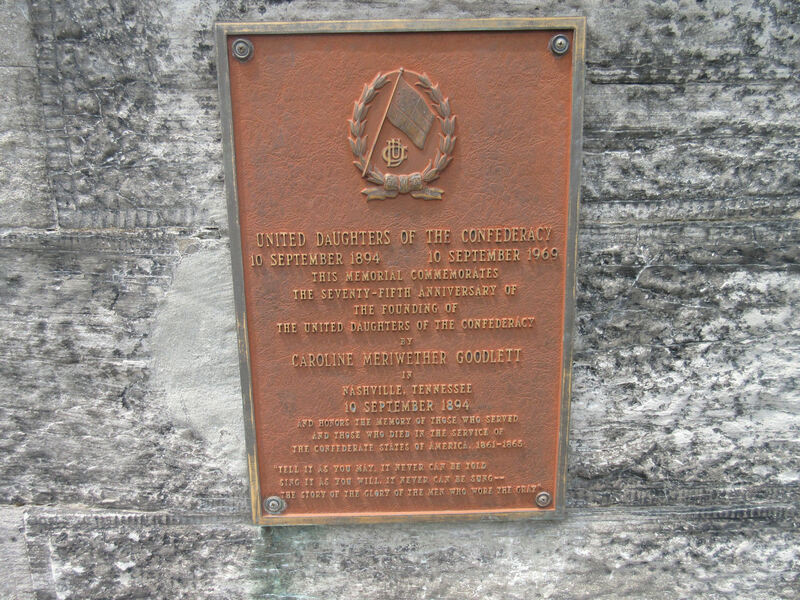 Twelve American state capitals have State Capitols without domes. 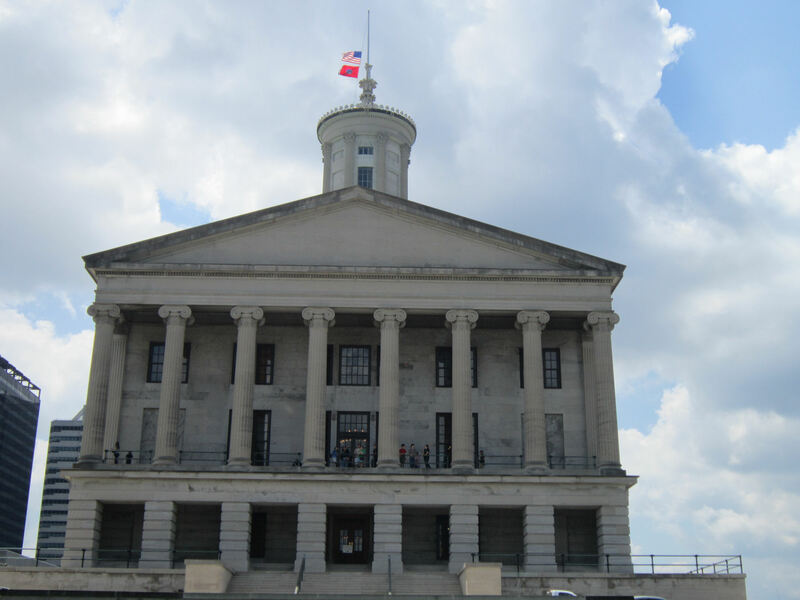 Tennessee’s 1859 version is one of them. When last we left Nashville, we’d stopped there for lunch on the first day of our 2005 road trip to San Antonio. 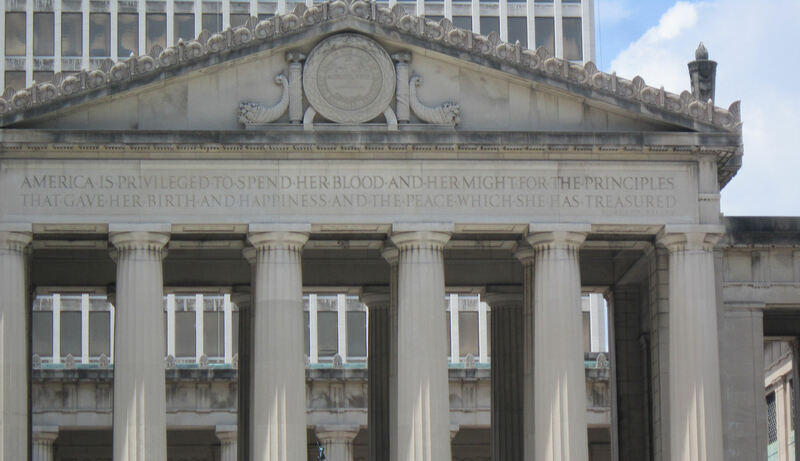 We ate at our first Jack in the Box nearly a decade before they finally came to Indianapolis; we saw their version of the Parthenon, a World’s Fair tribute to their old nickname “the Athens of the South”; and then we moved on. Ten years later, we returned once again for lunch and spent slightly longer there this time than last time. One last state capital before returning home to our own. 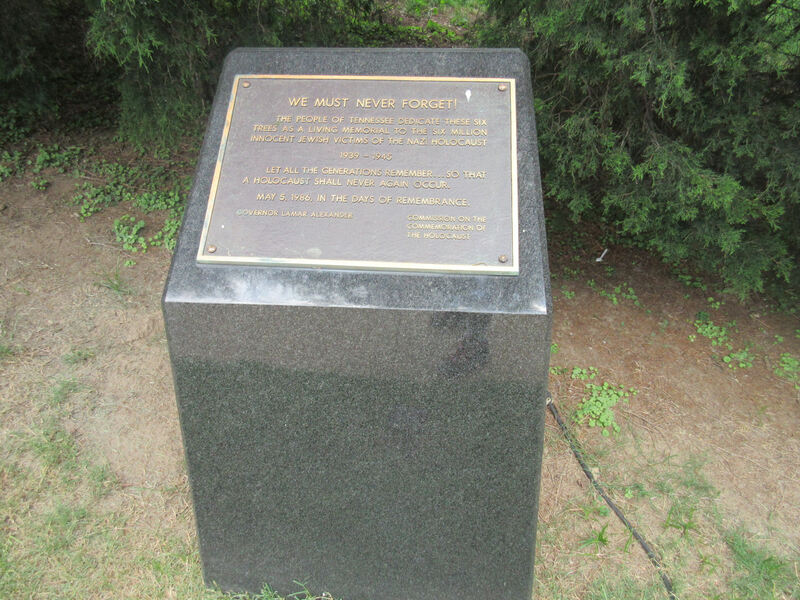 One last Presidential burial site. One last sign of Confederacy fandom. One last pretty garden. One last Andrew Jackson statue. One last official Southern meal. Our midday stroll around downtown Nashville was like a symbolic highlight reel of our entire road trip. 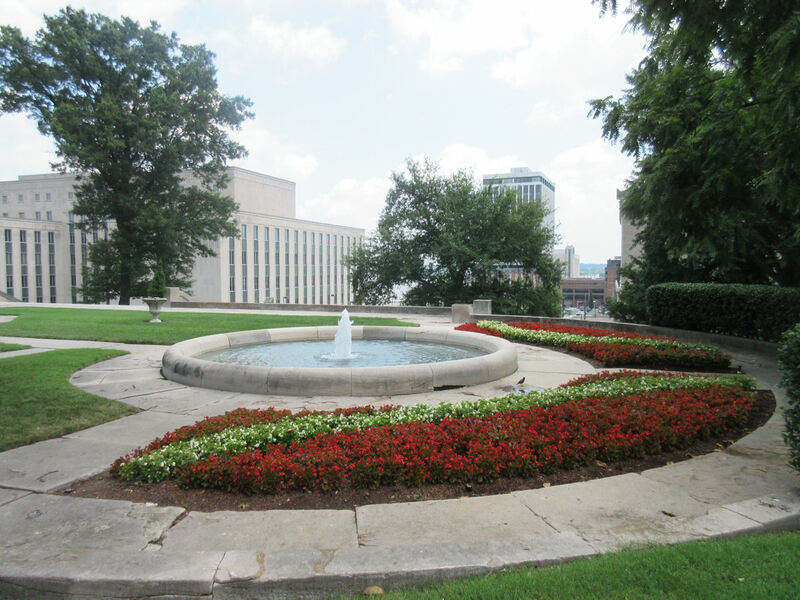 After our encounters with Andrew Jackson and TV’s Cooter, my wife had one last site she wanted to catch while we were in town, conveniently located on the grounds of the Tennessee State Capitol with other assorted statues and constructs. 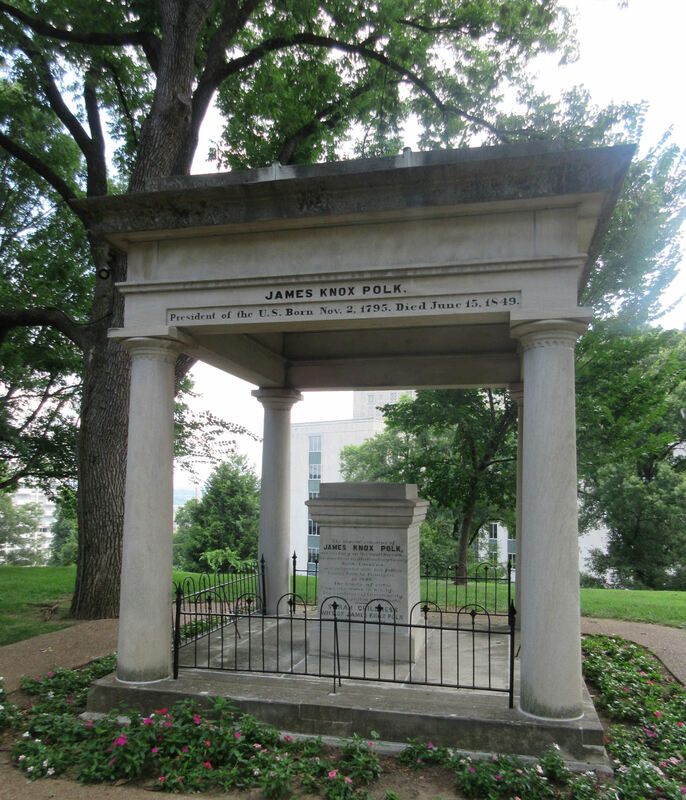 Our unlikely star: James K. Polk, the 11th President of the United States of America. His final resting place is right there on the southeast corner of the hilltop. A bit squarer than President Jackson’s and more open-faced than President Taylor’s respective crypts, as you may recall. Because you’ve been reading and memorizing this entire series, right? RIGHT? My childhood history classes provided very little coverage of any Presidents who didn’t serve before 1800 or preside over a war. What little I know of him comes from the eponymous song by They Might Be Giants, which for me was reason enough to stop here. Anne of course had her history-buff motivation. In the grand tradition of other Presidential burial sites, interred with him is his wife Sarah. 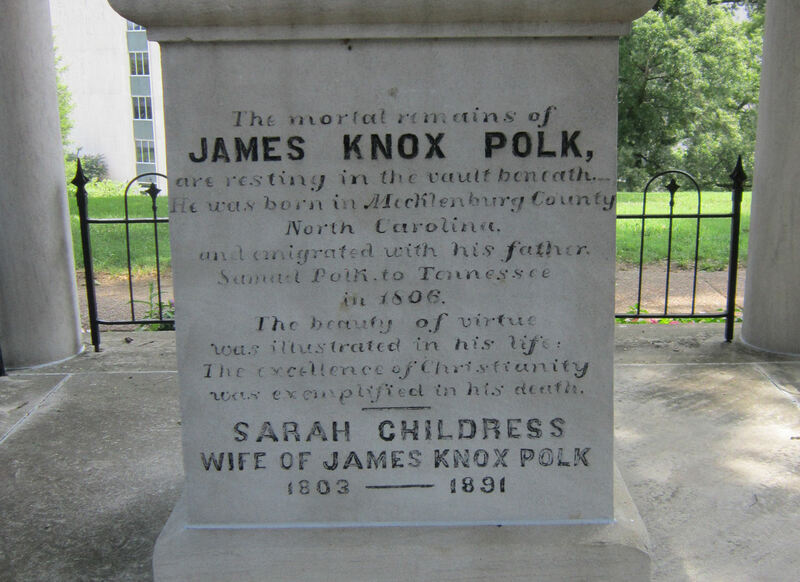 Polk himself died of cholera a lousy three months after finishing his single term, but Sarah outlived him by another forty-two years, spending her long retirement at their home, called Polk Place, till she passed away in 1891. 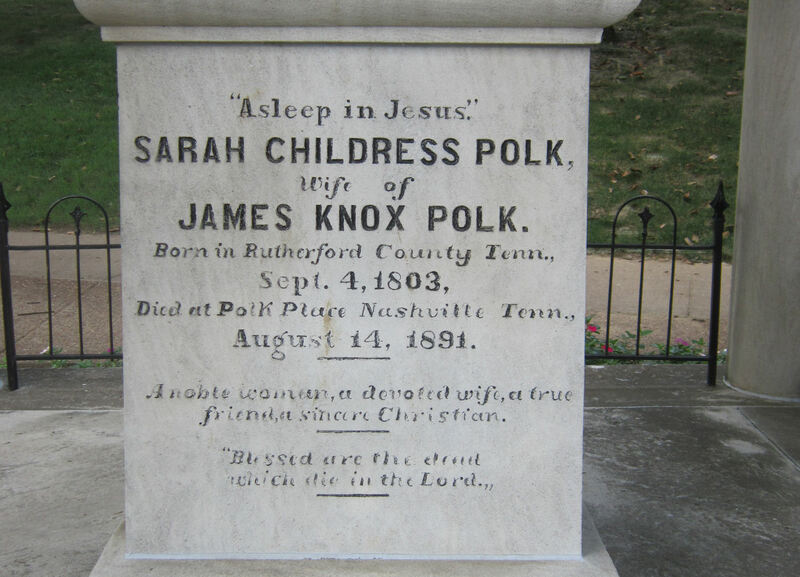 Sarah Polk outlived several other First Ladies in her time and was this close to ushering in the 20th century. It might’ve been nice to tour Polk Place just as we’d toured Jackson’s Hermitage. Sadly, it was demolished in 1900 against the stipulations in their wills. Today their former plot is home to a Best Western. Really not the same thing. 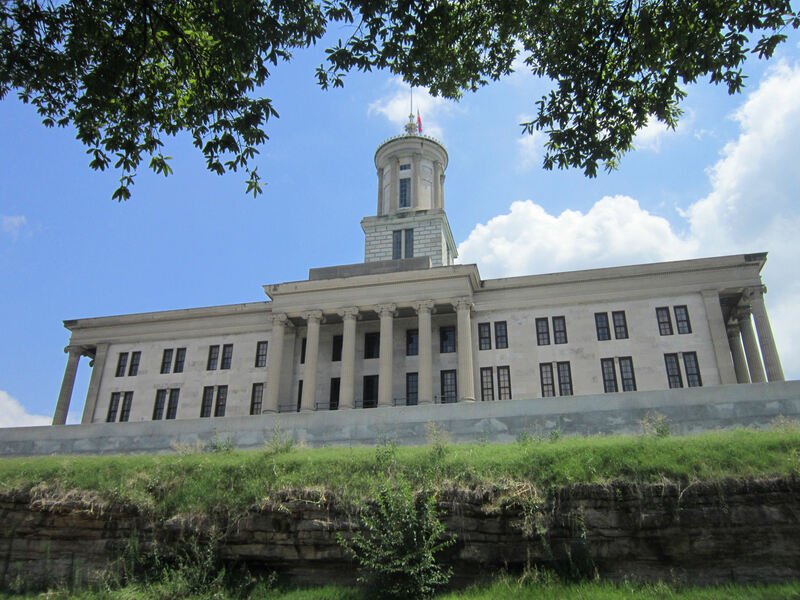 The Polks’ resting place is one of many structures sharing a hill with the Tennessee State Capitol. Built like a Greek temple and skipping the dome option that so many other State Capitols rock, it was impressive and weird at the same time. There used to be a cathedral or two on this very spot. Those also got demolished. Old buildings are like an endangered species hunted to near-extinction in this town, apparently. Elsewhere on the grounds, some new names and topics, and a few you may recognize. 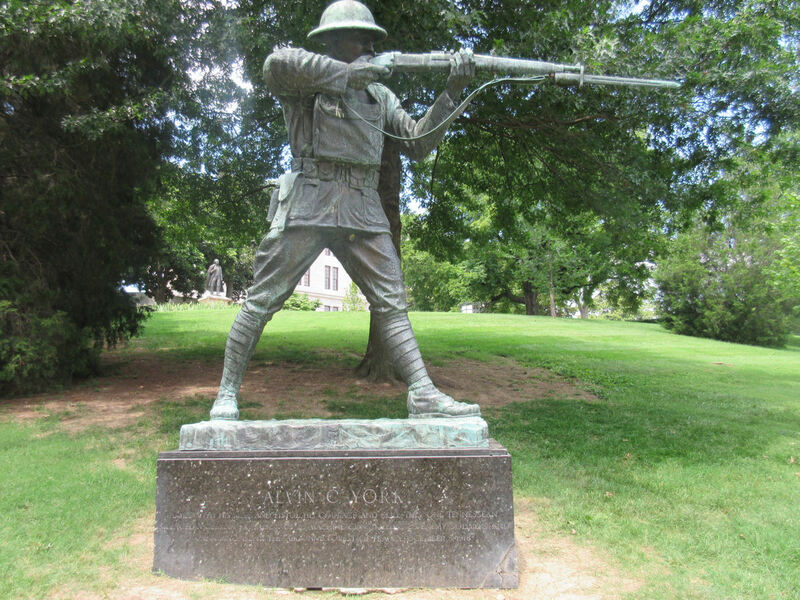 Alvin C. York, celebrated hero of World War I, got this statue in his honor, not to mention Howard Hawks’ 1941 film Sgt. York, for which Gary Cooper won a Best Actor Oscar. 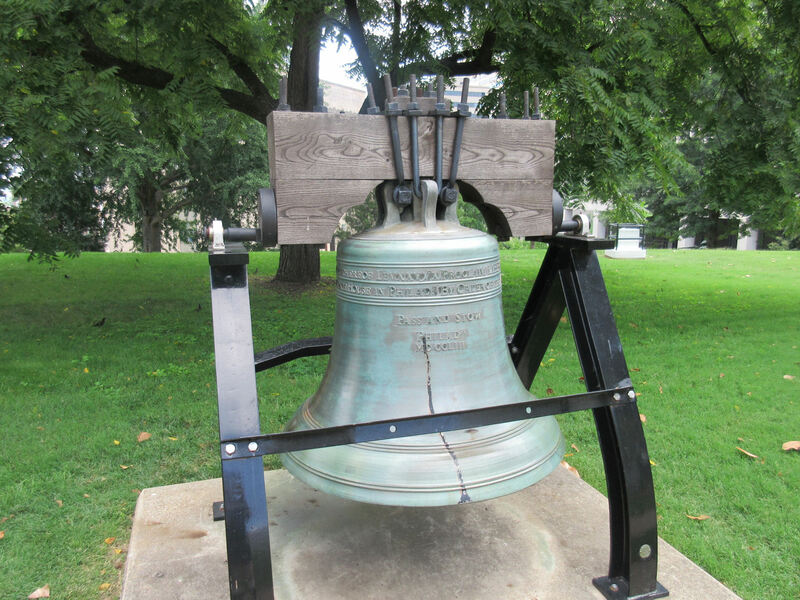 Every state received its own Liberty Bell replica as a promotional freebie during a 1950 Korean War bond drive. 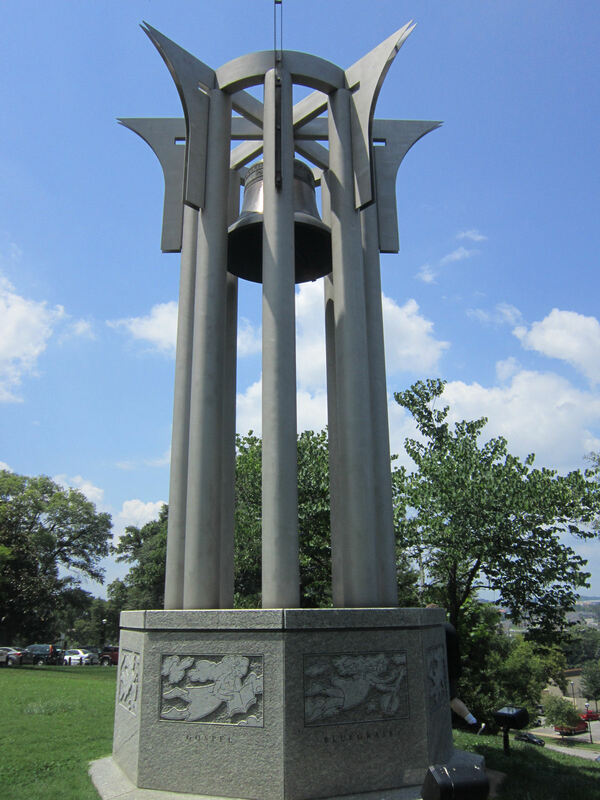 This bell has a different music genre named on each side, probably having something to do with Nashville’s old nickname “Music City”. I wish I knew more, but it didn’t have a placard to tell its story and it’s defied all my attempts at research, which largely dead-ended when “Nashville music bell” led me to lots of photos of Kristen Bell onstage with a mic. 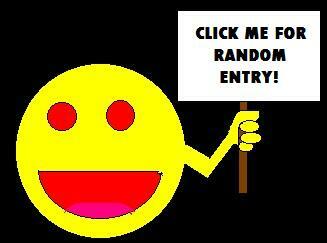 Let’s pretend it’s called “The Music Bell” and that I’m now its leading authority. AMA. Modest pretty garden and fountain. Modest sign we’re still in the South. 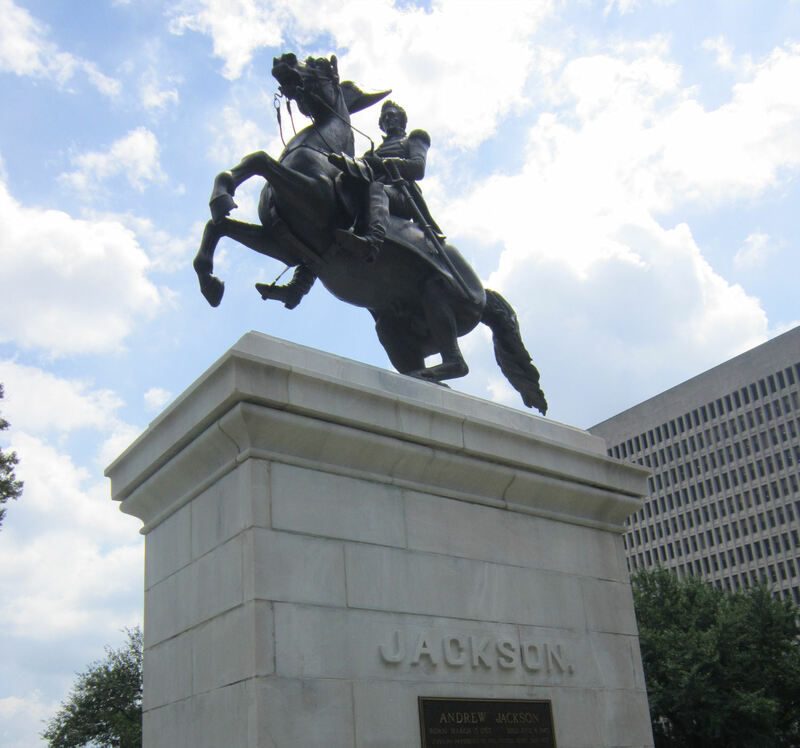 Another statue of a horse-riding Andrew Jackson to add to our growing collection. From the Capitol I used Google Maps to find us a random non-franchised place for lunch. Thankfully it worked better and more accurately here than it did in the French Quarter, where I imagine business turnover has been a lot higher in recent years. I suppose we couldn’t leave Nashville without at least one nod to country music. 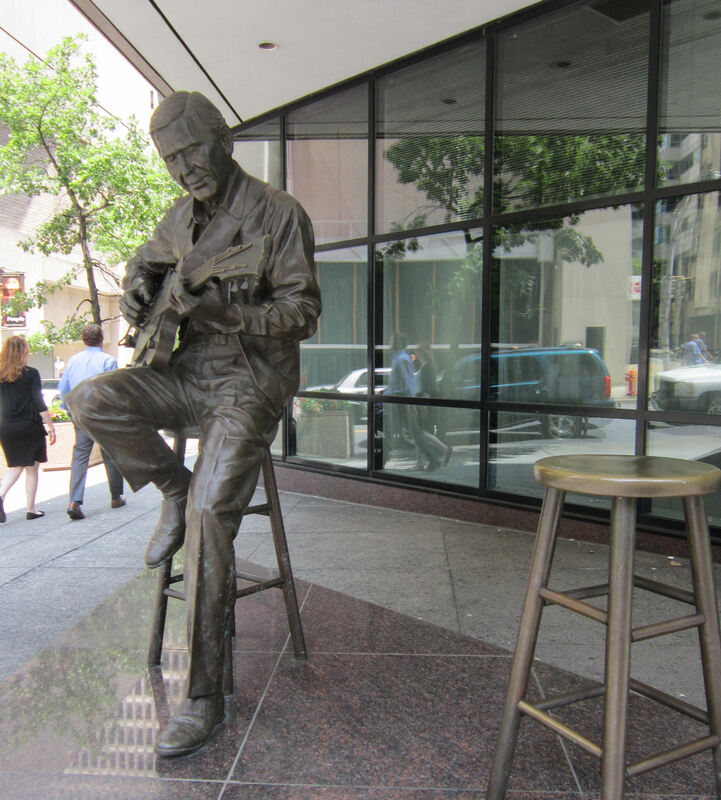 Hence a street-side Chet Atkins, with companion stool so musicians can rest their feet and pretend to jam with him. 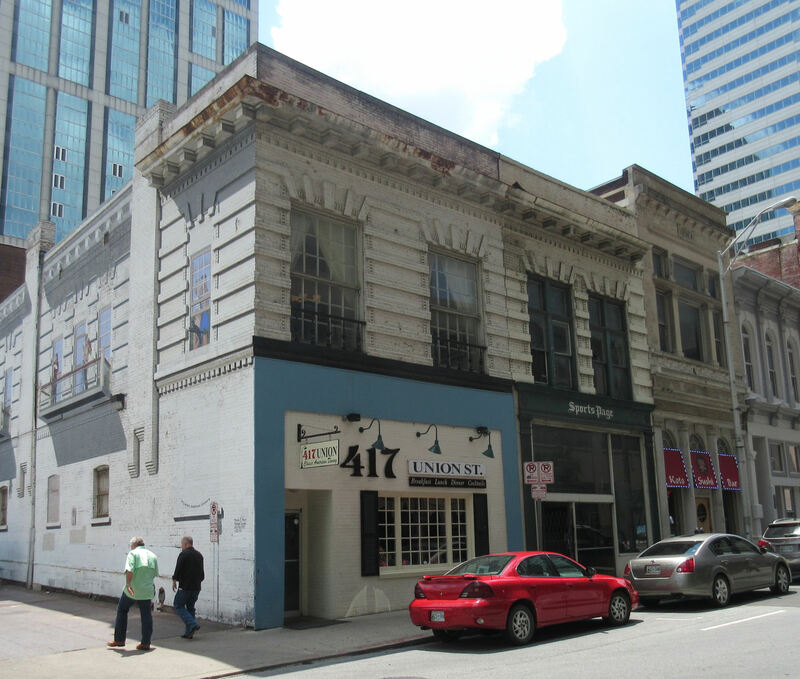 Our final decent vacation meal would be at 417 Union, a two-story classic-American restaurant in the heart of downtown. It was close enough to the Capitol that we weren’t yet dying of heatstroke before we arrived, though I’d considered giving in to it. They’re big fans of history, decorating their dining rooms with memorabilia from WWII and other famous moments. 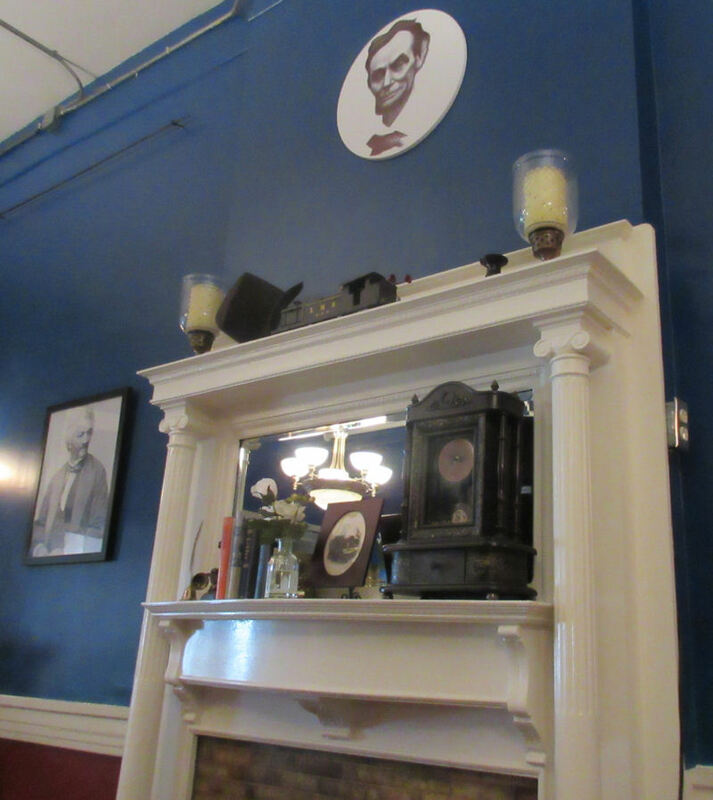 Our waiter directed our attention to a recent acquisition, an ink drawing of Lincoln done entirely in ballpoint pen. Anne had the fried chicken blue-plate special. 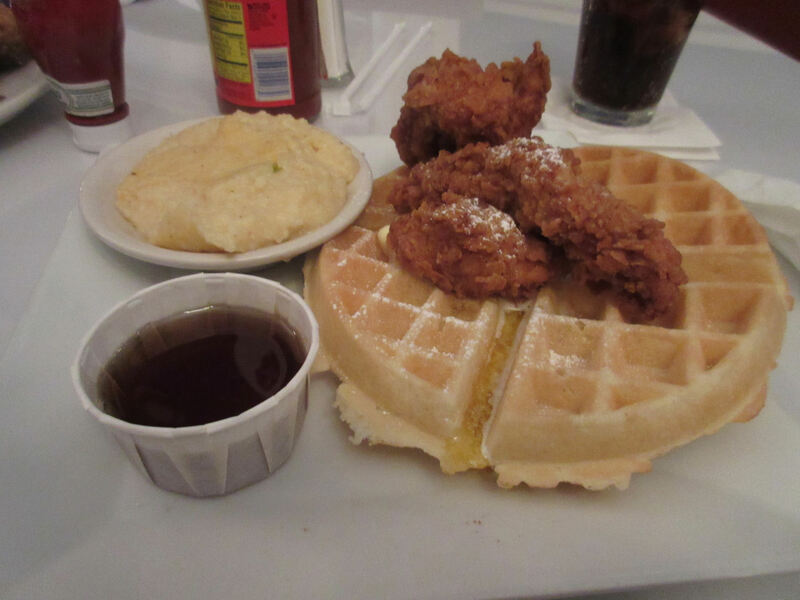 I had the chicken ‘n’ waffles. As a last hurrah, we couldn’t get much more apropos. Delicious meal, loved the breading on the chicken, would gladly eat again. We’re not just talking Banquet and Eggo here, either. …and then we headed straight back to the car and let the open road beckon us back home. My biggest regret from this walk: not a single reminder to me of anything from Robert Altman’s Nashville. Better luck next trip, I suppose.